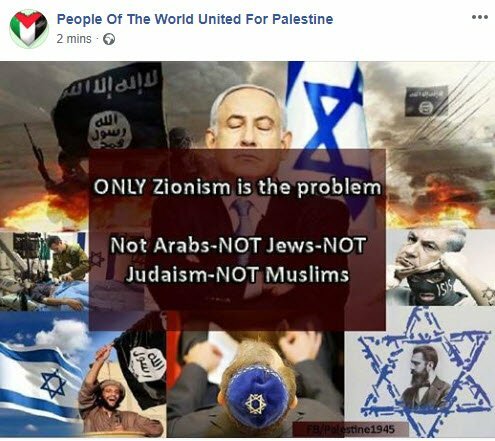 Those behind the Facebook page People of the World United for Palestine would like us all to know they are ok with Jews, just not Zionists. Either they’ve changed their tune in a mere 3 hours, or are not counting on people like me paying close attention. 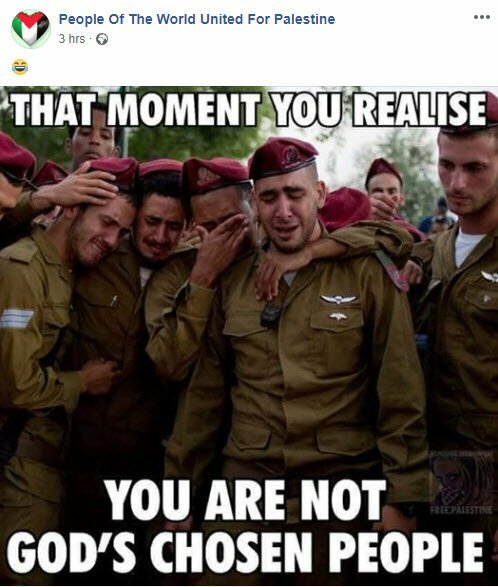 Besides the clear hatred of Jews implicit in the mockery of the “God’s chosen people” concept, note the smiley face Emoji they use while posting this photo of IDF soldiers clearly crying over a fallen comrade. They need to change their name to People of the World United in Hatred of the Jewish People and be done with it.